Together, Chase and Maggie take a walk down their fractured memories’ lane to discover how they ended up hitched. In the process, they discover a drug cartel with a vendetta against them and a burgeoning love born of respect and adventure, a love they never expected to find in paradise. What happens when a confirmed bachelor meets a jilted bride? What else – they get married! And from there the fun and excitement begins. For Maggie, what more could go wrong? She’s been jilted at the altar, married to a stranger, and threatened by the cartel. Wait until you see what happens next! While Maggie is in denial, Chase goes into protective mode. After all, she is his wife, and this is what SEALs do. This is a fun, exciting, and suspenseful tale. You don’t often get this mix in the same story, but it works! The characters of Maggie and Chase play off each other so well that it’s a delight to see them interact with each other and the other characters. The action is fast-paced and at times intense. It will easily keep your attention from beginning to end and be prepared to not be able to put it down. I highly recommend this as a VERY enjoyable read!! Good story; lots of suspense. 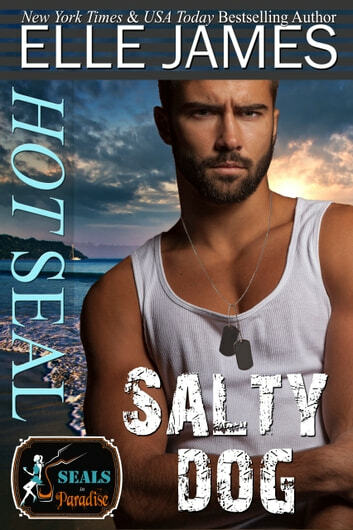 Hot SEAL Salty Dog begins a new series – SEALs in Paradise – but also crosses over with Elle James' Brotherhood Protector series (which I really like). 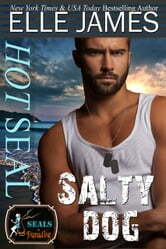 SEALs in Paradise promises to be a great series with books by several authors who's work I enjoy. While it's part of a series it can easily be read as a standalone without feeling like you've missed anything. The story has Elle's engaging style of humor, suspense, and romance which always provide this reader with an enjoyable reading experience. The blurb is pretty accurate. I'll add that the story was very entertaining and I think SEALs in Paradise is going to be a great new series. An advanced copy of this book was provided to me but my review was voluntary and not influenced by the author. Story was pretty standard, boy meets girl, boy rescues girl, end up happy ever after. Since I recently got back from a vacation in Cabo San Lucas and was at Cabo Wabo, it would have been nice to have the location of the bar in the right place. It is not on or by the beach, but a few blocks west of the marina, nowhere near the beach as the author leads you to believe. In my opinion, it makes for a much more believable storyline to have the facts right, especially those that are easily checked.